Gone are the days of couth and manners and etiquette. Remember Emily Post? Ann Landers? 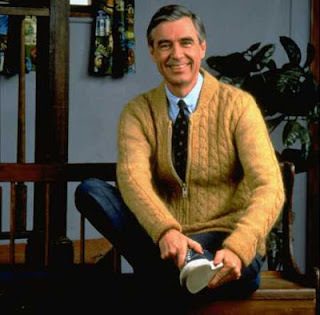 Mister Rogers? Damn, I miss those folks! I’m fed up with the way our society has taken ownership of the word entitlement. Entitled to talk. Entitled to rant. Entitled to yell. Entitled to think we’re so bloody smart. Entitled to have. Entitled to take. Entitled to post. Basically, we feel entitled to do and say whatever the heck we want. Call conservatives a bunch of racist pigs? Sure, why not? Tell liberals they’re just human debris? Sounds good to me. As the presidential debates heated up on live television this week, I started browsing Facebook, as my patience was waning with the debate. The comments were astounding! They kept coming, minute after minute, posting their denouncements of their most hated candidates, Romney or Obama, some “friends” posting multiple times an hour. Originally I thought it was funny ha-ha some of the comments that were being made about both candidates. But just like when you were a kid and nervously laughed along with the bully who was making fun of another kid, at a certain point, you start to feel sick to your stomach that you’re part of anything so intrinsically wrong and you man up. Sure we have the right to think whatever we want and free speech protects our words, but in days gone by, we’ve had a vast majority of people following a rubric of manners and decorum that kept them in check. Today it feels as if there is no barometer. The masses have rolled over. The herd is no longer taking care of its own. It’s officially a free-for-all where we can say and do whatever we want without any real consequence. I have very strong opinions of my own on religion and politics and anything else that may be controversial. I peacefully co-exist with a large base of friends and family, many of whom I know view issues and topics differently than I do. To each his own. I don’t feel threatened by someone else’s views. I love a good old-fashioned debate or conversation about anything. I don’t, however, feel the need to name call or bash ideas or people who do not agree with my thoughts. I’m saddened by the way people talk to each other today, many times, indirectly through social media, by ranting their distaste for X, Y, and Z. What happened to pushing your agenda? What happened to educating the population on your cause? Why have we turned to bashing opposing views instead of promoting our own, and worse yet, why so publicly? Do we feel safer slinging mud from the comforts of our own homes or cars or workplaces, where we don’t worry about the backlash of someone yelling at us in person or throwing a disapproving glance? Or is it the rush of the presentation and the instant gratification of someone responding or “liking” what was said, which gives us confidence to continue on our bash? Or is it possible the folks talking smack on Facebook are sitting home alone, without a friend or family member or neighbor to converse with live and are instead relying on the false sense of intimacy that social media provides? I don’t know the answer. I do know that the “unfriend” button has become one of my favorite buttons on Facebook. Across the board to those I love and those I don’t really know so well, it’s become an effective tool. I don’t use it because I don’t agree with something someone says, as I truly respect varying opinions on most everything. I use it to weed out bullies who are constantly name-calling and have proven they haven’t mastered the art of persuasion without using hothead tactics. It’s not much different than what I try to instill in my kids when it comes to their own friends: be friendly to everyone, but don’t align yourself with kids that act disrespectfully. The first way is to be kind. The second way is to be kind. The third way is to be kind.” It may be old-fashioned, but it works for me, so I’m sticking to it.